Vacant rental properties ruin the return on investment properties – period. Hazard insurance, mortgage payments, property taxes, utilities, break-ins, vandalism, maintenance, and landscaping are just some of the costs associated with vacant rental properties. Reducing your vacancy rates to a bare minimum is extremely important, if you intend to have a successful real estate investing career. The following eight tips will help minimize vacancy rates, and thus maximize ROI. Obviously certain areas are better for investing then others; research the neighborhoods you are considering for investment. Speak with local Realtors, fellow investors, property managers and anyone else who is knowledgeable about the area. You must find out if the neighborhood has a high or low vacancy rate, if there are currently an oversupply of other rentals nearby and what current market rents are in the area. Rental properties located in areas where there is a plenty of foot traffic are often easier to rent than lower-visibility properties; prospective tenants who see a “For Rent” sign are already familiar with the area and the exterior of the property, and like them both enough to call you. Pricing your rental unit properly is key; “guesstimating” what the market will bear is never good enough. You must know exactly how to price your investment so that you are maximizing on both your return and maintaining a competitive price. Don't just research similar local properties, but tour these other rental properties in the neighborhood and speak with local real estate experts. Longer-term rentals will be vacant less often, as their turnover rate is inherently lower. Additionally, the longer tenants reside in a property, the deeper their roots grow. Incentives can work wonders: for example, try offering a reduced rent amount or lowered utility bills for a two-year lease term. 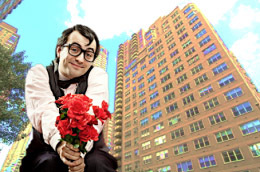 Remember, maintaining filled rental units is the goal, and it tends cost far less to offer an incentive than it does to carry a vacant rental unit month after month… incentives work! 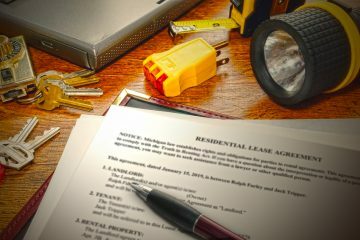 There are many advantages to marketing your rental property as rent-to-own, as homeownership is ideal for many, and offering a lease option agreement will likely attract a higher-caliber tenant. Additionally, rent-to-own tenants will have a very high incentive to pay the rent on time – maintaining their eligibility to purchase. Rent-to-own tenants are also more invested in the rental unit and will treat the property with more respect. And last but not least, you can sell the property without paying a real estate agent’s commission! Larger, multi-unit properties statistically fill vacancies faster with on-site property management. This is something you should certainly consider, as you may even be able to compensate the property manager with subsidized or free rent instead of paying them out of pocket. Whether the tenant is calling to report a pest infestation, functional problems, repairs or just to request an upgrade, the landlord/property manager should respond immediately. Happy tenants are far more likely to stay put and not move, leading to lower vacancy rates and higher long-term profits. 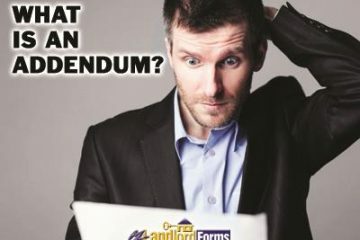 Even if the owner or manager's decision is not to act, they should communicate that decision as quickly as possible to the tenants to avoid misunderstandings and false expectations. Before tenants vacate, start showing the unit to new prospective tenants, in hopes of a seamless transition from one tenancy to the next with no vacancy. The day prior tenants move out is the very same day your handyman/contractor should assess repairs and begin refreshing the rental property. Every day that passes while the contractor "gets around to it" will cost you money; making your investment property a liability, not an asset. Start advertising, print out a stack of rental applications, and remember the big picture: minimize vacancies and maximize the quality of your tenants, and you will be well on your way towards a profitable rental business! Not surprisingly, when I returned, a fountain had formed in one of the garage bays. 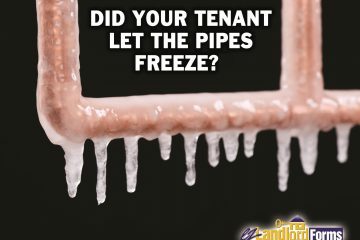 Freezing temperatures had burst a pipe, sending water gushing across the concrete floor. The event did not endear me to my landlord and, needless to say, I didn’t get my deposit back. The Latin word “addendum” appeared more than 230 years ago to define “something added.” Here we are in the early 21st century, and no one on Earth speaks Latin as his or her native language. Yet, that word, addendum, is still in heavy use to describe something added to a book, to a magazine, to a yearbook, and, yes, to a lease agreement. Even if you are in that small minority of folks who still remember a few words from long-ago Latin lessons, the use of lease addenda (that’s plural for addendum) may still stump you. So here’s the 411 on that important form.